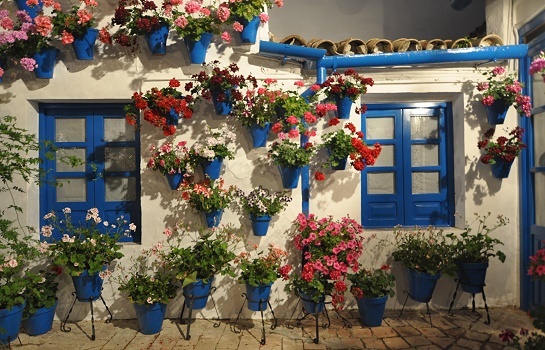 Since July 2016, visitors have the opportunity to experience the fascination of Cordoba’s wonderful Patio tradition around the year. The municipal authority VIMCORSA established an interprative center in one of the most beautiful patios in town. The center is found at what was formerly known as “Patio de Carmela”, which is located in Trueque Street in the San Lorenzo neighborhood. Between 1960 and 2009, this Patio joined the famous annual Patio Festival 49 times and received 45 awards. Aquired by VIMCORSA in 2014, the establishment of the interpretive center was inevitable in order to underline the importance of the Patio tradition and to honor the unfatiguing work of the local residents keeping the wonderful tradition of the Patio Festival alive. Apart from the Patio itself, the interpretation center has various rooms offering in-depth information about the Patios and their history. All travelers who come to Cordoba by the AVE highspeed train, are eligible for a so-called “Kit del Patio Cordobés” when visiting the interpretive center. Just show your AVE train tickets and you’ll be handed one. This kit is a floral compliment from Cordoba and contains a flower pot with geranium seed.